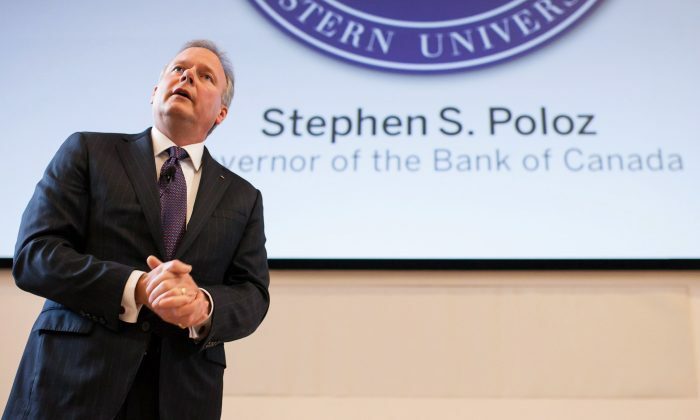 Bank of Canada governor Stephen Poloz strongly endorsed inflation targeting as a modus operandi for central banks, but feels that monetary policy needs to do a better job incorporating financial stability risks given globally interconnected financial markets and economies. His statement that the Jan. 21 rate cut “buys us some time to see how the economy actually responds,” was a key phrase that financial markets interpreted to mean that another rate cut on March 4 was now less likely. The Canadian dollar which was hovering around $0.795 U.S. prior to the speech appreciated to slightly north of $0.80 U.S. after the release of the speech and the TSX fell by roughly 75 points. Toward the end of his speech, the governor touched how this action supports both inflation targeting and financial stability. The oil price shock has become a major headwind to reaching economic potential and the 2 percent inflation target—the “traditional” things central banks focus on. Financial stability used to be seen as the responsibility of regulators, but central banks are increasingly factoring it in when conducting monetary policy. We need to develop a monetary policy framework that integrates inflation risks and financial stability risks. Furthermore, the oil price shock has created greater financial stability risks in that it translates into lower incomes for Canadians. This exacerbates the already elevated debt-to-income ratio, the key measure of the indebtedness, or leverage, of Canadian households. The global economy still faces significant challenges several years after the financial crisis, even after some major central banks have cut rates to zero and into negative territory and have grown their balance sheets to try to reduce longer-term interest rates. However, Poloz feels there is still much uncertainty out there and that central banking needs to figure out a way to incorporate financial stability risks while maintaining low and stable inflation. “Although we are not out of the woods yet, it is nevertheless the right time to be thinking about what monetary policy should look like once we are,” said Poloz. He outlined a brief history of how major central banks became inflation-targetters. After the gold standard, the U.S. dollar standard, and monetary targets became unsatisfactory for monetary policy, in 1991 the Bank of Canada became the second central bank (after New Zealand) to adopt inflation targeting. Low and stable inflation sounds good, and its predictability is an advantage, but over time it created problems for financial stability. Low and stable inflation has seen investors increase leverage to boost returns and consumers ramp up borrowing. Countries have taken on excessive debt loads, which all fed into the financial crisis. But also, low and stable inflation has allowed interest rates to stay low, and this doesn’t leave a lot of room for monetary policy to come to the rescue with rate cuts to spur the economy. Poloz also pointed to how changes in global inflation are starting to account for a greater portion of domestic inflation, which is a difficult challenge for central banks. The Bank of Canada’s inflation-targeting agreement with the federal government is scheduled for renewal in 2016.